Bathway is a Canadian company, manufacturing our own bathtub cutout thresholds in Canada since 2006. Because we manufacture our own bathtub conversion products, we are able to offer multiple shapes and sizes to suit practically any existing tub. 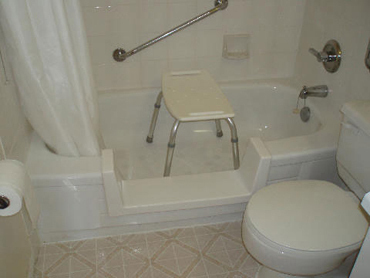 Bathway also provides other bathroom safety solutions including grab bars and hand held shower heads. Complete customer satisfaction is our ultimate objective. Our installers will behave in a professional manner and will complete the job in an efficient, workman-like fashion, leaving your bathroom as clean as when they arrived. We look forward to being of service for all of your bathroom safety needs.